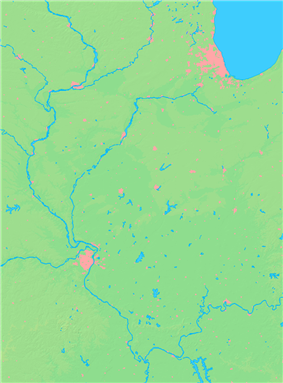 Cave-In-Rock is a village in Hardin County, Illinois, United States. 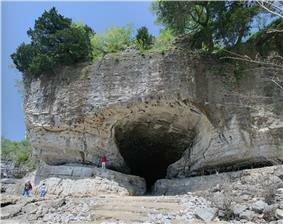 Its principal feature and attraction is nearby Cave-In-Rock, on the banks of the Ohio River. Cave-in-Rock was originally a stronghold for outlaws including; river pirates and highwaymen, Samuel Mason and James Ford, tavern owner/highwayman, Isaiah L. Potts, serial killers/bandits, the Harpe Brothers, counterfeiters, Philip Alston, Peter Alston, John Duff, Eson Bigsby, and the Sturdivant Gang, and the post-Civil War bandit, Logan Belt. The population was 346 at the 2000 census. Cave-In-Rock is located at (37.470050, -88.166297). According to the 2010 census, the village has a total area of 0.43 square miles (1.1 km2), of which 0.37 square miles (0.96 km2) (or 86.05%) is land and 0.05 square miles (0.13 km2) (or 11.63%) is water. In the village the population was spread out with 23.4% under 18, 7.5% from 18 to 24, 24.9% from 25 to 44, 19.4% from 45 to 64, and 24.9% who were 65 or older. The median age was 40 years. For every 100 females there were 81.2 males. For every 100 females age 18 and over, there were 82.8 males. Cave-in-Rock's primary feature is a striking 55-foot (17 m)-wide riverside cave formed by wind and water erosion and cataclysmic effects of the 1811-1812 New Madrid Earthquake at Cave-in-Rock State Park , just upriver from the village. 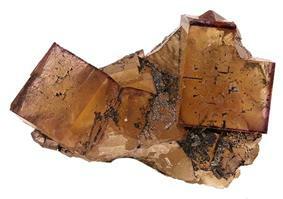 The first European to come across it was M. de Lery of France, who found it in 1739 and called it "caverne dans Le Roc". 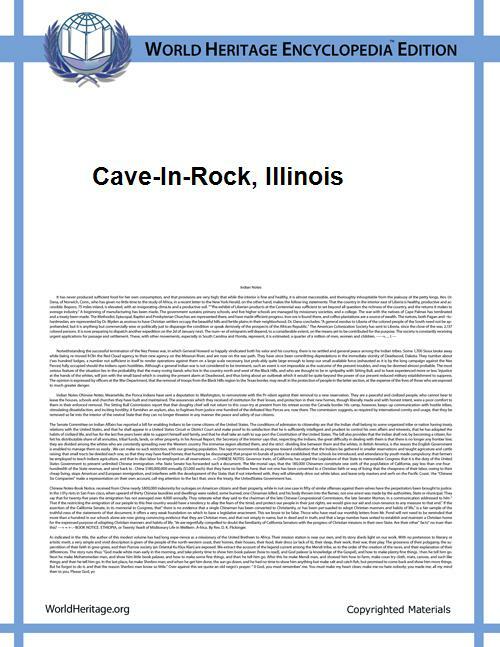 Other names for the cave include Rock-In-Cave, Rocking Cave, Rock-and-Cave, House of Nature, The Cave, Big Cave, and Murrell's Cave. The cave has been the main feature of Illinois' Cave-in-Rock State Park since 1929. Cave-in-rock, view on the Ohio (circa 1832): aquatint by Karl Bodmer from the book "Maximilian, Prince of Wied’s Travels in the Interior of North America, during the years 1832–1834"
In 1790, counterfeiters Philip Alston and John Duff (John McElduff) used the cave as some type of rendezvous, though details are scarce. 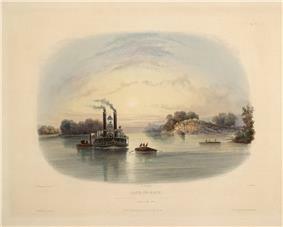 Although folklore printed in 19th century histories failed to establish a prior connection between the two men, both had lived in the area of Natchez, Mississippi at the start of the Revolutionary War. Duff was living upriver a few miles, either at Battery Rock or across the Ohio River at what would become Caseyville, Kentucky, when in 1797, Samuel Mason moved his base of operations from Diamond Island and Red Banks to the cave and made it the home of river pirates. Two of Mason's brothers had been business partners of Duff at Kaskaskia, Illinois, in the 1780s. Mason created a combination tavern, gambling den, brothel, and criminal refuge. His men lured in gullible river travelers and then robbed and killed them. James Wilson, also known as Bully Wilson, may actually have been an alias for Samuel Mason, the next leader of the gang after Mason's hasty departure, or possibly the front man for the Mason's operation. He may be the Wilson who married one of Mason's nieces. In 1799, he hung a sign over the cave's entrance saying "Wilson's Liquor Vault and House for Entertainment". By this time, Duff and his associates had been making salt (or looking for silver) in the area around the Illinois Salines along the Saline River in southeastern Illinois. A detachment from the U.S. Army garrison at Fort Massac, down river from Cave-In-Rock, captured him and three of his men, Blakely, Hazle and Hall. 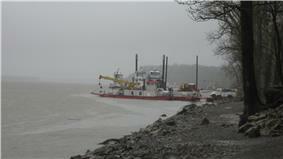 The soldiers took their prisoners by boat down the Saline River to the Ohio River, intending to return to the fort. Old histories do not explain why they stopped at the cave. Subsequent events suggest it took during the spring of 1799, when Wilson in business, making it a stop for entertainment. Duff and his men escaped and overpowered the soldiers. They tied them up, put them in a boat, and pushed it into the river to float downstream to the fort. On June 4, 1799, the commandant of Fort Massac, Captain Zebulon Pike, Sr., father of the future explorer of Pike's Peak, hired a French Canadian coureur de bois and three Shawnee warriors to assassinate Duff, which they did. The infamous Harpe brothers also reached the cave region in the spring of 1799. They are associated with two separate stories at the cave and one at the infamous Potts Spring area to the north. The first story has them pushing a young couple off the top of the cliff above the cave. They survived. The second was an act of piracy in which only one man survived. Later, he was forced off the cliff as well, this time involving the man being tied down to a horse. Nether survived. 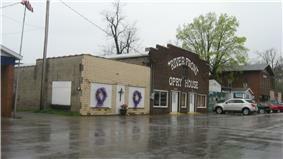 The Potts Spring story is recalled as a murder of two or three hunters. This Harpe murder site, within twenty years, would become the future location of the legendary Potts Inn, which was presumed to be a human death trap for unsuspecting travelers, along the Ford's Ferry High Water Road, an early frontier highway, who wanted to spend the night for food and lodging. Mason and Wilson's time at the cave may have come to an end during the summer of 1799, when they were attacked by a group of bounty-hunters/vigilantes under the leadership of Captain Young calling themselves "The Exterminators". No contemporary accounts attest to river pirates occupying the cave in the first decade of the 19th century. The Harpes retreated back into Kentucky and Mason traveled downriver and began to focus on highway robbery along the Natchez Trace. The next generation of outlaws in the region sprang either from the Sturdivant Gang, a group of counterfeiters based at Sturdivant Fort, on top of the bluffs overlooking the Ohio River at what is now Rosiclare, Illinois; or the Ford's Ferry Gang led by James Ford. based a few miles upriver from the cave at what became known as Ford's Ferry, Kentucky. Law enforcement officials led three raids against Sturdivant Fort in 1822 and 1823. Although it is not clear what happened following the raids, the gang disappears from the area by 1830. The Ford's Ferry Gang was broken up following the mysterious deaths or murders of James Ford's two sons, followed by his own assassination in 1833. Even after the death of Ford, outlaws remained. Isaiah L. Potts operated Potts Inn on the Ford's Ferry High Water Road in Illinois north of the cave. Travelers checked in but, sometimes failed to check out. This presumed frontier hotel was very similar to the Bloody Benders' Wayside Inn, which appeared fifty years later in Labette County, Kansas. The legend of Billy Potts, the returning son was murdered unknowingly by his father and likely took place in the months following Ford's assassination. This tragic story, of poetic justice, has taken on folklorish proportions. Records show the elder Potts and his wife separated in 1834 or 1835. Eson Bigsby, sometimes, the first name was spelled Eason or Enos and the last name Bixby also, took up counterfeiting in Hardin County in the decades following the Sturdivants. His attack on his wife Anna in an effort to find out where her first husband's money was buried dates to the early 1860s and led to the legends of Anna Bixby, her treasure and her ghost. She actually survived running off of a cliff in the dark. She is the namesake of the Anna Bixby Women's Center in nearby Harrisburg, Illinois. Although not completely connected to the "Ancient Colony", the Logan Belt Gang terrorized Hardin County in the 1870s and 1880s, until Belt was assassinated. Loading a vehicle onto the Cave-in-Rock Ferry. The majority of Cave-In-Rock's earliest settlers were Pope County. In Walt Disney's Davy Crockett and the River Pirates, Davy Crockett and Mike Fink anachronistically fight Sam Mason and his pirates. Also, at Walt Disney World's Magic Kingdom, there is a scene called "Cut-Throat Corner" and "Wilson’s Cave Inn" that can be seen on the bank of the Rivers of America while riding the Liberty Belle Riverboat around Tom Sawyer's Island. This scene is based upon the real life Cave-In-Rock and the activity of river pirates during that time period. A scene of the MGM classic How the West Was Won was filmed at the cave as well as at Battery Rock. In 1997, The History Channel show In Search of History also, filmed at the site for an episode entitled "River Pirates". L. A. Meyer's novel Mississippi Jack features the heroine leading an anachronistic raid against river pirates as a homage to the aforementioned Davy Crockett episode. ^ "Places: Illinois". 2010 Census Gazetteer Files. ^ a b c d e f "Cave-In-Rock - State Park". Illinois Department of Natural Resources. ^ .. "Outlaw hideouts, Greg Stimac's official website".